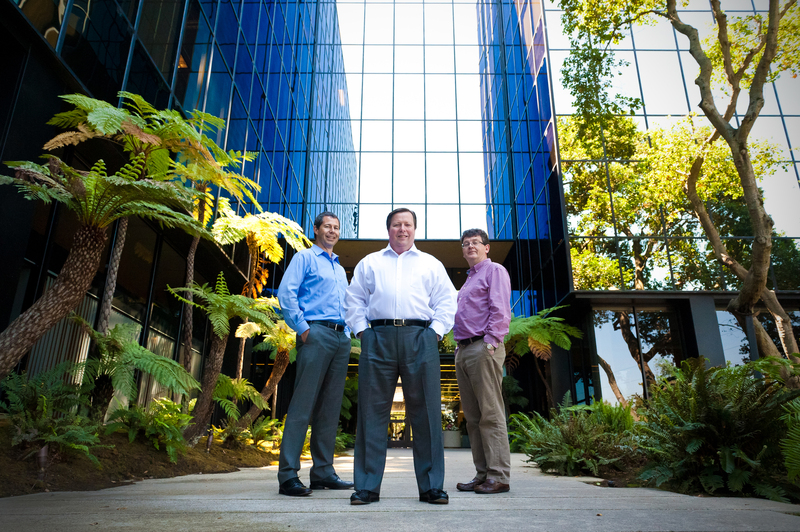 Daybreak’s management team (pictured, left to right): Patrick Roberts, CTO/ CISO; Kevin Barrett, CEO; Patrick Pollard, CBO. Daybreak Information Technologies, a dynamic company focused exclusively on providing IT managed services to the biotech sector is the first of its kind globally, CEO Kevin Barrett tells Lynne Nolan. When I’m talking to somebody about pharmacokinetics, pharmacodynamics, large molecules, small molecules, whatever it might be, these are conversations I can have with senior executives in biotech because we speak the same language. “It all started back in 1996 when I joined Elan Corporation plc, and I was their director of IT in their corporate function and over many years I rose to the ranks of Senior Vice President and Chief Information Officer, a position I took on in early 2003,” recalls Kevin Barrett, Chief Executive Officer at Daybreak Information Technologies. Now at the helm of Daybreak, an independent private company established in 2013 through Elan’s outsourcing of its entire IT function, Barrett led the implementation of a Global IT management control system for Elan certified to ISO 9001, ISO 20000-1, ISO 27001 and ISO 38500 back in 2003. He also held responsibility for the global implementation of SAP at Elan, in addition to a broad array of systems and technologies in support of the drug development lifecycle. He reflects on the level of exposure to very significant business transactions while working at Elan, where he managed all IT aspects of the Johnson & Johnson transaction, valued at US $1.3 billion, for Elan in 2009. With offices in Dublin and Silicon Valley, Daybreak’s executive management team includes Chief Business Officer (CBO) Pat Pollard, former VP Applications at Elan, and CTO/ CISO Paddy Roberts, former VP Governance and Control at Elan. After the collapse of the world markets in 2008 and 2009, while working at Elan, Barrett “set about as CIO looking at various supply options” and brought in Gartner to look at the costs and quality measures of services provided to Elan within Elan. Barrett’s persistence paid off and Martin agreed to proceed with the transaction in 2012, which would involve taking the IT function out of Elan into a new privately held company. Daybreak is uniquely qualified as the world’s only ISO-certified IT partner focused exclusively on biotechnology, and although there are a number of IT service providers focused on life sciences, Barrett stresses that life sciences is an incredibly broad subject encompassing everything from over-the-counter medication to diagnostics to pharma. “We do not deal with diagnostics or big pharma, we only deal with biotech. You will not find another IT service provider that comes from biotech, actually comes from biotech, and focuses exclusively on biotech,” he comments. “If you’re the CEO of a biotech company and you’re looking at your IT capability and you decide that it needs to be enhanced, or it’s costing too much, or it’s not providing the level of service, and you look for an outsource service provider, the first thing that will happen is you will find it extraordinarily difficult to find one,” he points out. “We speak the language that is biotech. That is the most important aspect of what we do. When I’m talking to somebody about pharmacokinetics, pharmacodynamics, large molecules, small molecules, whatever it might be, these are conversations I can have with senior executives in biotech. I know what they’re talking about and they know what I’m talking about, so we speak the biotech language, which is not normal for an IT services company,” he enthuses. Daybreak provides superior managed IT services enabling biotechnology to advance science, accelerate drug development and ultimately improve patients’ lives, counting some of the world’s leading companies as customers, he says. Cernam will operate as a stand-alone subsidiary of Daybreak and will be ‘sector agnostic’, offering its services to all industries and not just biotech, Barrett explains. Every industry type has a need for digital evidence services, he believes, and with its high incidence of intellectual property and litigation, biotech has a higher need than all other sectors, giving Cernam’s products and services a competitive edge. The biotech space is rife with litigation, from patent lawsuits to patient lawsuits, he says, all of which gives rise to an enormous amount of e-discovery work. “You will see more of that from us as we go forward; alliance agreements leading to acquisitions or direct acquisitions,” he says. Through Cernam’s proven and highly complementary skillset, Daybreak added much sought-after e-discovery and digital forensics products and services to its specialist capabilities. “There’s going to be an investment of many millions of dollars in that space [digital evidence]. We also have a contract management system that’s very much focused on contract lifecycle management, very specific to biotech,” he says. Daybreak is also currently developing software and capabilities around document management and mobile computing supporting clinical development areas of biotech, all of which are focused on increasing financial flexibility for Biotech companies and reducing the amount of time and cost in the drug development lifecycle.